The 8th Gen refresh delivers a noteworthy performance increase in a familiar and highly likeable 13.3in form factor priced from £1,500. Intel's belated transition to quad-core mobile processors has given laptop manufacturers good reason to introduce refreshed models packing the updated hardware. Never one to shy away from the cutting edge, Razer has jumped onboard with a quad-core makeover of its award-winning Blade Stealth. The 8th Gen refresh delivers a noteworthy performance increase in a familiar and highly likeable 13.3in form factor priced from £1,500. Razer's robust thin-and-light chassis looks even better in gunmetal, and all the expected goodies - including a beautiful QHD+ touchscreen, powerful speakers, fast SSD and USB Type-C - are all present and accounted for. A worthy upgrade in some ways, yet might Razer have done more? Blade Stealth is starting to fall behind the competition in terms of biometrics, fan noise and battery life, all three of which we suspect will be high on the list of must-have improvements for the next round of upgrades. Bottom line: this is the best Blade Stealth to date and it remains a solid laptop that speaks to enthusiasts seeking Ultrabook credentials with an added hint of gamer attitude. 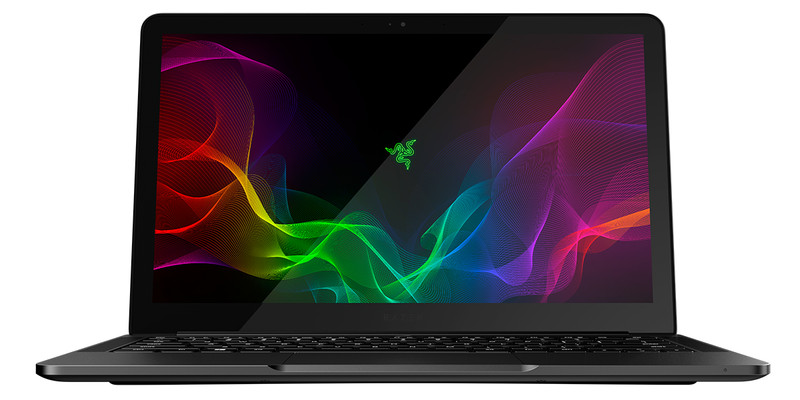 The Blade Stealth is available to purchase direct from Razer. I don't understand the pricing of this at all. No dedicated graphics for £1700?! My Hp Envy 13 was less than half this price with a dedicated MX150. Worse processor than this has, but still. and the keyboard no longer represents all the colours of the rainbow. Chroma fans might be shedding a tear or two, but we quite like the fact that the gunmetal Blade Stealth keys are backlit in just a nice, cool white. Couldn't you just set the colour of the old (& £350 cheaper when new) model to white?